As was evident in my piece on the R8 and MTC1 combo, early on Fostex spotted the huge significance of MIDI not just in sequencing and instrument control, but also in the control of recording hardware. 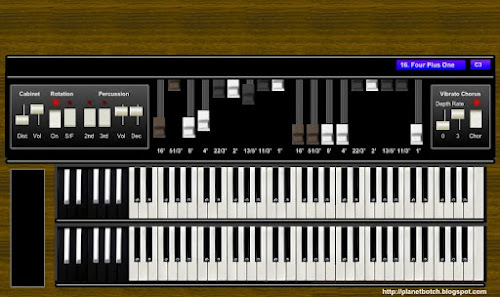 In the ‘80s, various non-digital music products (guitar processors, for example) had started to appear with MIDI, but the interface would often be added like it was some kind of obligation, with little creative thought behind its actual usefulness. Fostex, however, integrated MIDI into their systems with a much more empathic outlook. It wasn’t like: “Let’s put MIDI on this because it's the thing and everyone’s doing it”. They thought about what musicians and producers would desperately want to achieve first, and then used MIDI as a clever solution. Above: Original UK ad for the Fostex DCM100 and MixTab controller. The Fostex DCM100 and MixTab set began doing the rounds in late summer 1992 as the first affordable implementation of programmable, snapshot-capable mixing for the home recordist. The main brain and analogue sound interchange of the setup was housed in the rack-mountable DCM100, which gave the user eight jack inputs and a stereo pair of outs – all on the rear panel. 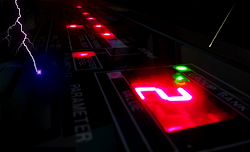 The DCM100 was therefore essentially a standard 8 into 2 mixer with most of the controls missing, and the addition of a digital patch memory so that mix snapshots could be stored. Most importantly, actual control of the live mix was achieved through digital, MIDI control change messages. The long-term, forward-thinking vision of the DCM100 was, I imagine, that the physical side of the mix – the moving of the sliders, pan pots, etc. – would be performed from a computer sequencer. 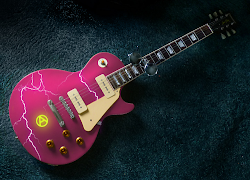 This could not only facilitiate live mixing via a virtual desk, but also record all movements of the controls through the course of the song, and reproduce them on playback. With computer sequencers becoming increasingly sophisticated, this was clearly where things were going to be heading. Interestingly, with this version of the idea, the MixTab was not required – its role was fulfilled by the computer software. Indeed the MixTab was priced as a separate item and the units were sold separately: the DCM100 at £449, and the MixTab at £299. BUT, this was 1992, and the concept of controlling audio output via virtual pots and sliders, with a mouse, on a computer screen, was very new, not widely enough catered for, and not widely enough recognised by potential customers. Most computer sequencers weren’t equipped to perform the task at this stage, and the concept of having no hard ‘desk’ at all was so strange at the time that it’s difficult to even imagine the DCM100 selling without at least some sort of input hardware that physically looked like a mixer. So the MixTab served as the DCM100’s input hardware, as well as making the package’s function as a MIDI mixer instantly recognisable to potential customers in Fostex’s adverts. Of course, because it was built to integrate with the DCM100, the MixTab was a good human interface and right for its time. It offered complete familiarity to anyone involved in 'old-school' home recording, but it also provided computer wizards with the scope to control their entire mixes digitally. You could, if you wished, connect the MixTab via MIDI to a computer/sequencer, and then connect the MIDI out from the computer/sequencer to the DCM100. 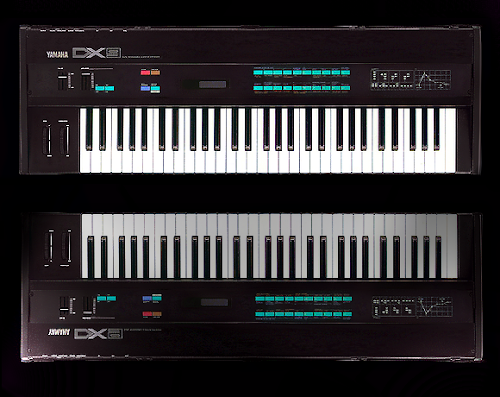 This allowed you to digitally record the mixes (with the third party sequencer) as you made them live on the MixTab, then have the mix reproduce as part of your whole MIDI sequence every time you played it – the DCM100 responding accordingly and affecting your analogue audio exactly as you wanted. If you were already using MIDI time code to sync your analogue audio with your digital sequencing, the DCM100 and MixTab combo was definitely your missing piece of the jigsaw. But even if you weren’t a computer/sequencing geek, the idea of being able to store 100 static mixes in memory was in itself a powerful impetus to buy. Incidentally, as you’d expect at this price, the MixTab’s faders were not motorised. They did, however, feature ‘light guides’, which would tell the user where to set them in relation to a given “scene” on the DCM100. The system was well thought out. The units fared well in reviews, and the quality was lauded – especially given the price. Vic Lennard (also a strong advocate of the Fostex R8), reviewing for Home and Studio Recording’s October 1992 edition, said that whilst he wouldn’t normally consider buying the hardware he reviewed, he would, in the case of the DCM100/MixTab, be interested. This early 1990s period was a great one for Fostex, and even in retrospect their ideas look sound. Returning to the original ad near the top of the post, you can't help feeling from the standpoint of 2014 that there's a lot the text doesn't communicate. Particularly conspicuous by its absence is any reference to computer sequenced mixes. But this only goes to show what a different era this was. 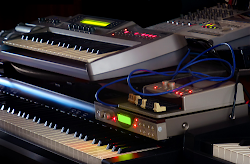 Hardware was still massively dominant in recording setups, and Fostex presumably felt that the vast bulk of their market would either not care about computer sequencing, or know so much about it that the mere word MIDI would be enough to get them investigating the possibilities. A great measure of the state of play in the second half of 1992 though. Long before the Internet was widely adopted, but the influence of computers was clearly dictating the direction of home recording.